21c Museum Hotel: This is the flagship of this small boutique hotel chain. It is located at 700 W. Main along Museum Row. In addition to its 91 rooms, it has an an acclaimed restaurant, Proof on Main. With an emphasis on contemporary art, the hotel has 9,000 sq. ft. of exhibition space that features exhibitions by contemporary artists. You feel like you are staying in a contemporary art museum. The galleries are free and open to the public 24 hours a day. 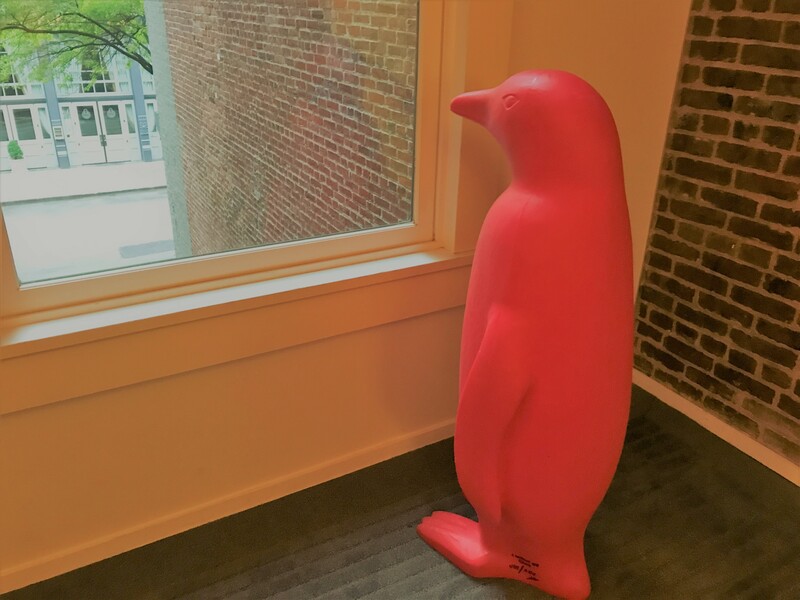 Each of their hotels feature large, colorful plastic penguins. Their color is red in Louisville! Look for them throughout the lobby, halls, elevators, restaurant and exhibition spaces. Seelbach Hilton: This is an historic downtown hotel since 1905. Its restaurant, The Oak Room, opened in 1907. 500 S. 4th St. 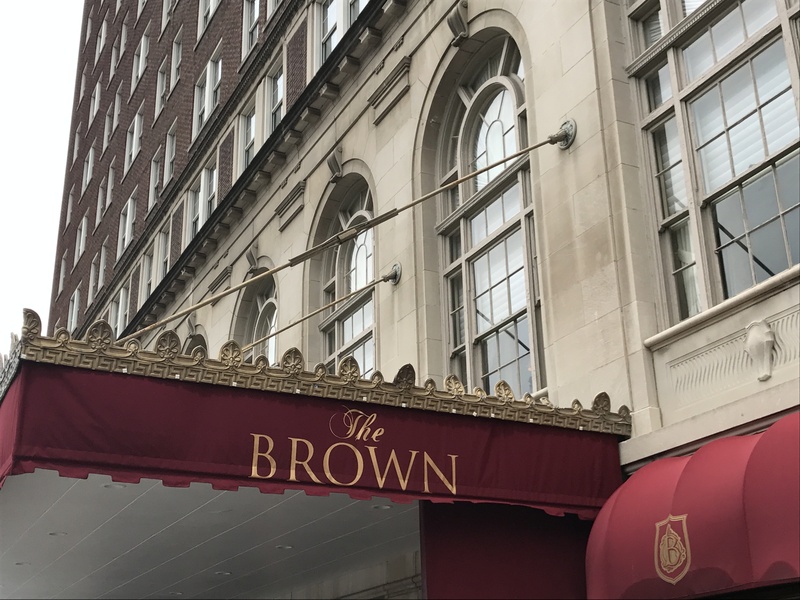 The Brown: This is downtown Louisville’s famed historic luxury hotel since 1923. It has an old world elegance throughout. It is also home to the “Hot Brown”, the legendary dish invented at the hotel in 1926. The original includes sliced turkey on an open-faced white toast sandwich, with Mornay sauce covering it and a sprinkling of Parmesan cheese. It is completed by being oven-broiled until bubbly. Pimento and bacon strips are then added to it. 335 W. Broadway. Aloft Louisville Downtown: Located directly on Louisville’s historic Whiskey Row and blocks from NuLu, this contemporary hotel provides easy access to the best of the city. 102 W. Main. Friends just stayed at the the lovely Dupont Mansion Bed & Breakfast which is located in a restored historic mansion at 1317 S. 4th. St. It looks like a place where I want to stay on my next trip.